Musician Vera Meyer plays a modern model of Franklin's 1761 invention. End branch of the Boston Public Library. upon a man playing wine glasses in Harvard Square. 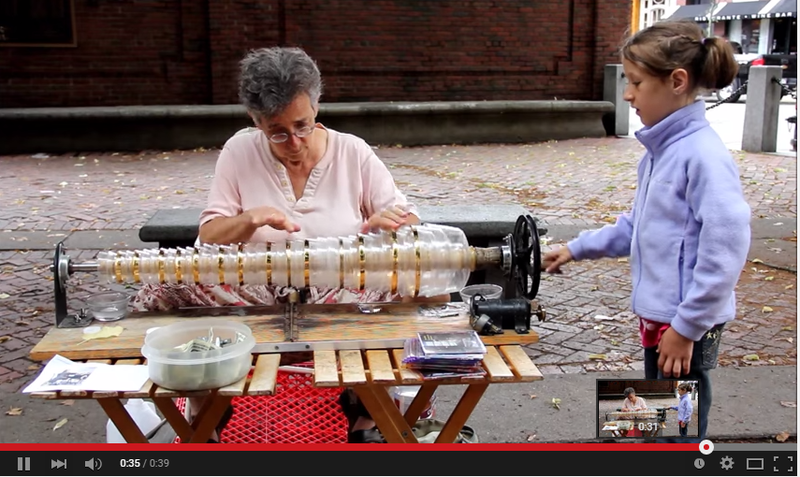 "I just became transfixed by the sound of glass music," she said. Since starting, Meyer says she has learned every country's national anthem. Tonight, she'll play traditional colonial music and take modern requests. Frozen, and the Jurassic Park theme song.